The result is a very (we mean very) well documented plan that gives a builder a great platform to take to the park and waste an afternoon. 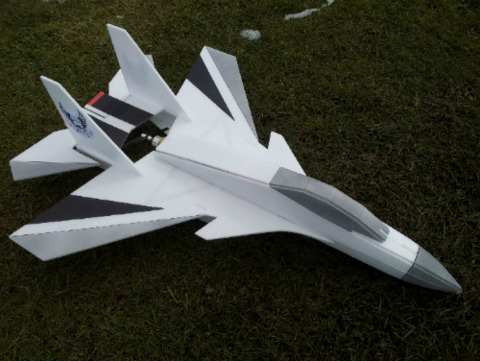 Jamie uses the score and fold method to build up his fuse and if you have seen our "Top 10 List" over the past 6 months, his planes are very popular and for good reason. His plans utilize a simple construction method, the planes he has chosen provide large wings, low weight and excellent performace, and because of the design, his plans are also semi-scale, so that in the air, they look fantastic. Give the new plans a shot, and be sure to donate directly to Mr. Rothwell if you enjoy the plans.